Your home is more likely to get burgled in winter, but have you taken every measure possible to secure your property against intruders? Burglary rates rise every winter – and not just during Christmas. While the festive period does present burglars with opportunities while people are away, January is in some ways even 'better': the nights are still long and dark, people are away at work, and our vigilance generally drops after Christmas is over. Besides, our homes are well stocked with all the gadgets we received as gifts – very tempting. And while research from MoneySuperMarket shows that many of us are already clued up about home security, with 90 per cent of 1,000 home owners reporting installing window locks, 84 per cent securing their front door with a double lock, and 56 per cent investing in light timers and sensors, only 32 per cent of those asked had burglar alarms, and only 10 per cent would call the police if one went off. So, in a street of 1,000 homes, there are a potential 640 without burglar alarms, one of the biggest single deterrents to intruders. Do you know that a standard lock can be opened with a sturdy piece of cardboard (yes, really)? Every door needs at least two locks, with the bottom lock by far the most important. Get a reputable locksmith to come in and assess the security of your locks, and replace them if necessary. While we're on the subject of locks, if you are moving into a new property, now is the time to change the locks. The previous owners may still have the keys to your house, which means that there is a possibility, however slim, that they could get into the wrong hands. Some burglars are developing clever ways of gauging whether you are around: one recent tactic has involved putting tape over your locks and seeing whether it's still there the next day. So, make sure your regularly check all your locks for tampering; if you are away, ask a neighbour or friend to check them for you. An open window really is an opportunity, so don't chance leaving yours open even if you're out for a bit. 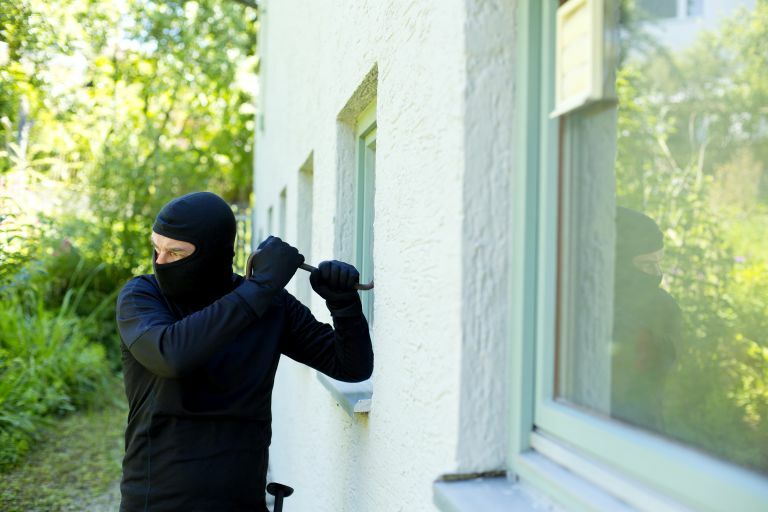 Professional burglars will watch properties to see who comes and goes, and could use even a short window of opportunity (see what we did here?). Live on the ground floor? Make a window plant display, preferably using thorny plants such as roses, as a further deterrent. Smart home technology offers lots of opportunities for improving home security, from security cameras to timed lighting and smart doorbells. Not sure where to start? Read our overview of the best home security systems to protect your home.